Experience the magic of a true Vegas slot machine with “Five Times Pay” slots. This fascinating game offers players the chance to win a fifteen thousand coin jackpot. With coin values ranging from twenty-five cents up to five dollars, there are some significant payouts on offer with this machine. 5 Times Pay slot is one of the casino classics found in Vegas. The graphics of this machine are similar to the standard three reel Vegas slots, with the reels and paylines shown on the screen as well as the standard bet buttons. Symbols used on the reels include the “Five Times Pay” logo, the red seven, the seven bar, the triple bar, the double bar, the single bar, and the cherry. With a maximum bet of three coins and a jackpot of five thousand coins per coin bet, players stand to win considerably with this machine. There is only a single payline offered in “Five Times Pay” slots. The line runs horizontally through the center of the game’s three reels and is clearly marked with a line. Symbols must land directly on the payline in order to be part of a winning combination. While there is no autoplay feature offered in “Five Times Pay” slots, avid slots fanatics will find that the game moves quickly enough to remain exciting and that there is much action on the reels to keep players entertained. There are many excellent payouts offered in this game, adding to the attraction. Players who get three of the “Five Times Pay” symbols on the payline are given a two thousand coin jackpot when betting a single coin, while players betting two coins are awarded five thousand coins and players betting three coins are awarded fifteen thousand coins. Sixty coins await a player getting three red seven symbols on a single coin bet, while one hundred twenty are paid for a two coin bet and one hundred eighty are awarded on the maximum bet. Three seven bar symbols pay fifty coins on a single coin bet, one hundred on a two coin bet, and one hundred fifty on a three coin bet. Players who get three of any combination of seven symbols are awarded forty coins for a single coin bet, eighty for two coins, and one hundred twenty for three coins. Three triple bars pay thirty, sixty, and ninety coins for one, two, and three coin bets, respectively. Two “Five Times Pay” symbols award twenty five coins on a single coin bet, fifty on a two coin bet, and seventy five on a three coin bet. Three double bars pay twenty, forty, and sixty coins for one, two, and three coin bets. Three single bars or three cherries pay ten coins for a one coin bet, twenty for a two coin bet, and three for a three coin bet. Three bars of any kind pay five, ten, and fifteen coins for one, two, and three coin bets. Two cherries offer the same payouts as three bars. If a player gets a single cherry in a spin, they are awarded two coins for each coin bet. The “Five Times Pay” symbol is also wild, and can substitute for any symbol on the reels, paying five times the payout for one and twenty five times the payout when two are in a winning combination. 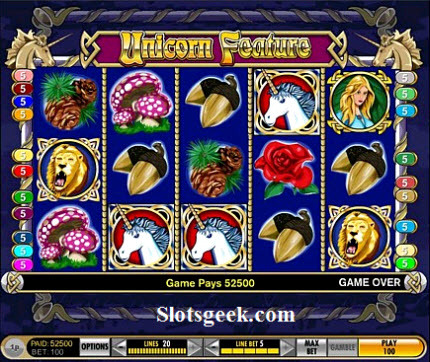 With such large winnings offered, it is easy to see why this game has long been a favorite in casinos everywhere.